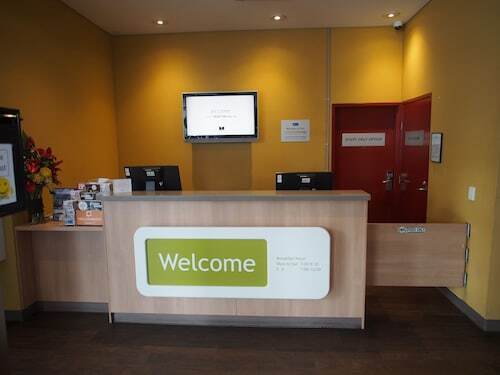 Situated in Sydney Olympic Park, this hotel is within a 10-minute walk of Sydney Showground and ANZ Stadium. Qudos Bank Arena is 0.7 mi (1.2 km) away. Sydney Olympic Park Station is only a 4-minute walk and Sydney Concord West Station is 26 minutes. This family-friendly Sydney Olympic Park hotel is located in the entertainment district, within a 5-minute walk of ANZ Stadium and Sydney Showground. Qudos Bank Arena is 0.6 mi (1 km) away. Sydney Olympic Park Station is only a 4-minute walk and Sydney Concord West Station is 28 minutes. 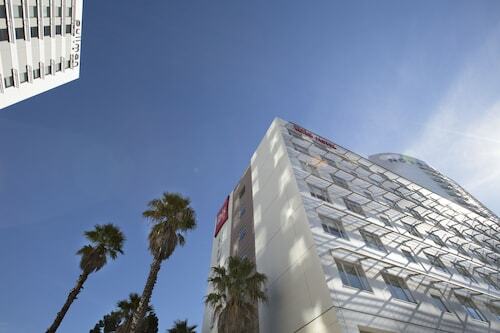 Situated in Sydney Olympic Park, this luxury hotel is within a 10-minute walk of ANZ Stadium and Qudos Bank Arena. Sydney Showground is 0.5 mi (0.9 km) away. Sydney Olympic Park Station is 11 minutes by foot. Situated in the entertainment district, this luxury hotel is within a 5-minute walk of Sydney Showground and ANZ Stadium. Qudos Bank Arena is 0.7 mi (1.1 km) away. Sydney Olympic Park Station is only a 4-minute walk and Sydney Concord West Station is 26 minutes. Sydney Olympic Park, an area 13 kilometres west of the urban core of New South Wales' state capital, Sydney, should be on your list while you're in town. When visiting the Sydney area, you'd be daft to miss its large number of landmarks, like the Sydney Opera House, Bondi Beach and Sydney Harbour Bridge. Bicentennial Park is a delightful spot for relaxing and taking things slow. Check out the rates at the Pullman at Sydney Olympic Park and Novotel Sydney Olympic Park to stay nearby. Crowds of shoppers go to DFO Homebush to awaken their shopping demons. The Quest At Sydney Olympic Park and ibis budget Sydney Olympic Park are your best bets for this spot. Have trouble facing the day without at least one coffee? You'll be relieved to know Sydney Olympic Park is home to some excellent cafes. GT Cafe Homebush is a local favourite, offering a variety of hot drinks and tempting treats. Sightseeing can certainly wear you out. Luckily, Abhi's Indian Restaurant dishes up delicious meals that'll be sure to satisfy even the most starved travellers. And of course, you haven't really experienced Sydney Olympic Park until you've downed a few drinks with the locals at the neighbourhood pub. Here, Hotel Concord is where you want to go. It is worth considering booking a room in Homebush Bay - Sydney Olympic Park or Homebush when organising your trip to Sydney Olympic Park. Homebush Bay - Sydney Olympic Park is 0.5 kilometres from Sydney Olympic Park and Homebush is approximately 2 kilometres away from Sydney Olympic Park. 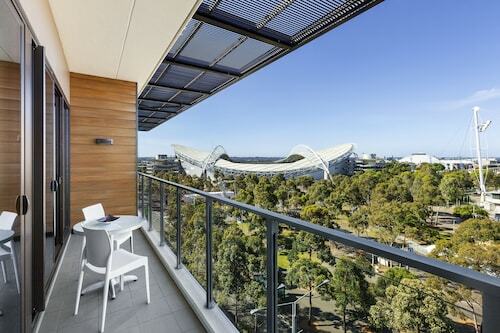 Sydney Olympic Park features a number of terrific places to stay. If you're ready to make tracks to Sydney, Wotif can take you there, on time, on budget and in style! How Much is a Hotel Room in Sydney Olympic Park? Hotels in Sydney Olympic Park start at AU$84 per night. Prices and availability subject to change. Additional terms may apply.